The beautiful Victorian home was embellished with characters from the Peter Rabbit books. There were figurines, stuffed animals and children's books placed throughout the home. 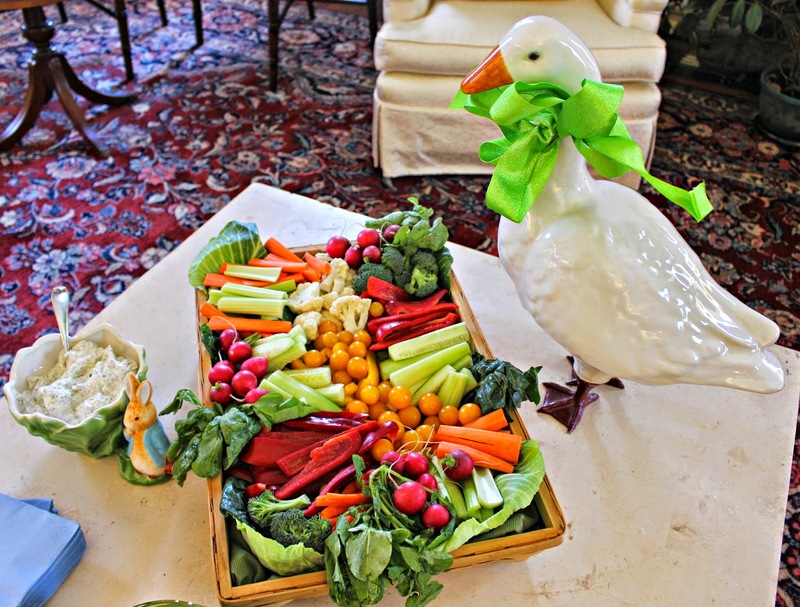 A beautiful vegetable arrangement was available for guests to enjoy before brunch. I loved the mother goose figurine. There was a glass jar with cotton balls and guests got a chance to guess how many balls were in the cotton jar. 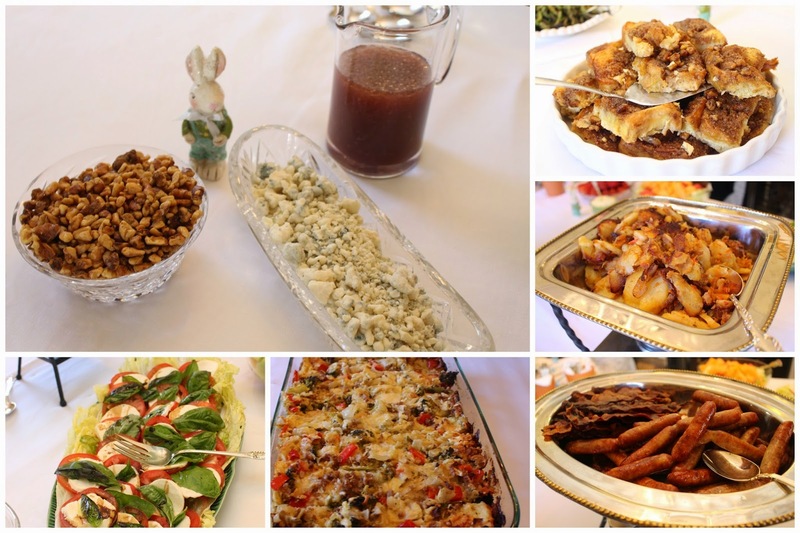 The ladies prepared an amazing brunch spread that included loads of sausage & bacon, Caprese salad, potatoes, french toast in additional to other tasty offerings. There was a Fill in the blank BINGO sheet where guests had to fill in potential items that Alice would receive at the shower. The person who got a complete line crossed out was a winner. In lieu of greeting cards, guests were encouraged to get a book instead. What a great idea! If you're gonna spend 5 bucks on a card anyway, might as well spend the money on a children's book that is more practical. Baby Shah received lots of cute clothes, nursery items and awesome accessories. 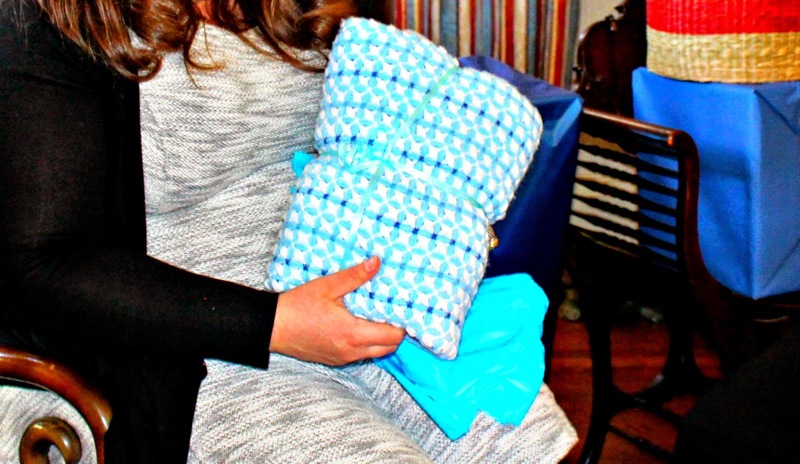 Some of the best gifts were from his grandmothers, Mrs. Shah and Mrs. Hubbell. Mrs.Hubbell is quite the crafty woman. She made some custom clothing, burb cloths and bibs for her soon to be grandson. 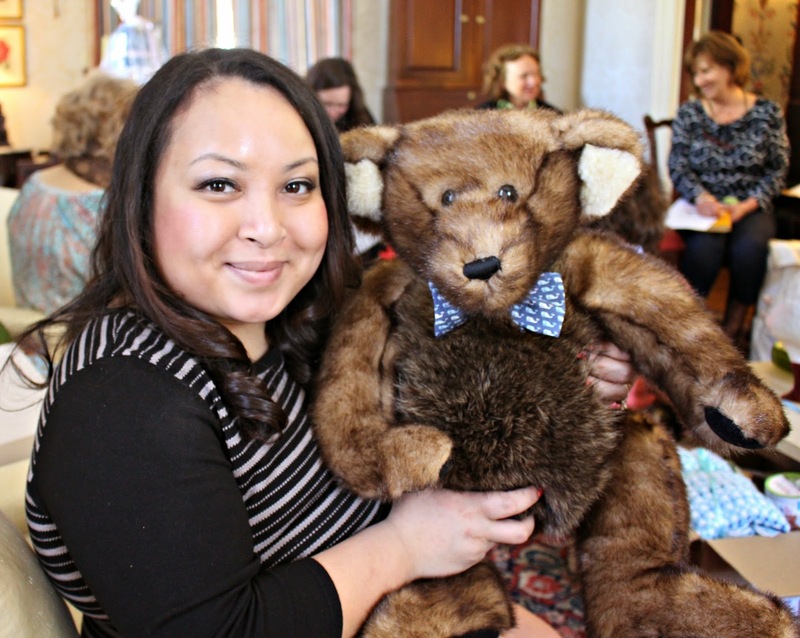 I loved the custom teddy bear she made using a patch of extra fur and adding a Vineyard Vine bow tie. Mrs. Hubbell also made the curtains for the baby's nursery. 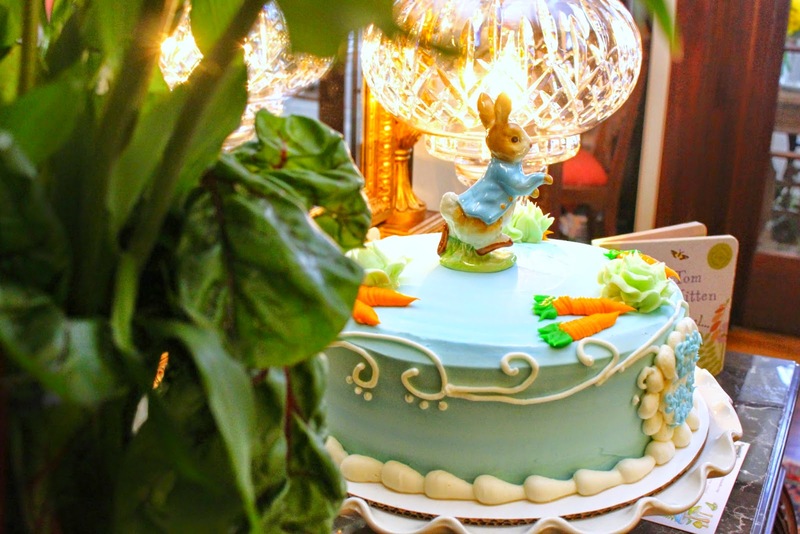 Dessert was a beautiful Peter Rabbit cake. All the guests were shocked to hear that it was from Market Basket. It was so cute! Melissa told us that all they need is a picture of what you want the cake to look like and they can try to do it. The cake turned out really well! In addition to the cake, Maureen made indulgent decadent Oreo cream cheese cake balls along with chocolate covered strawberries. Can you say, "Guilty pleasure!" 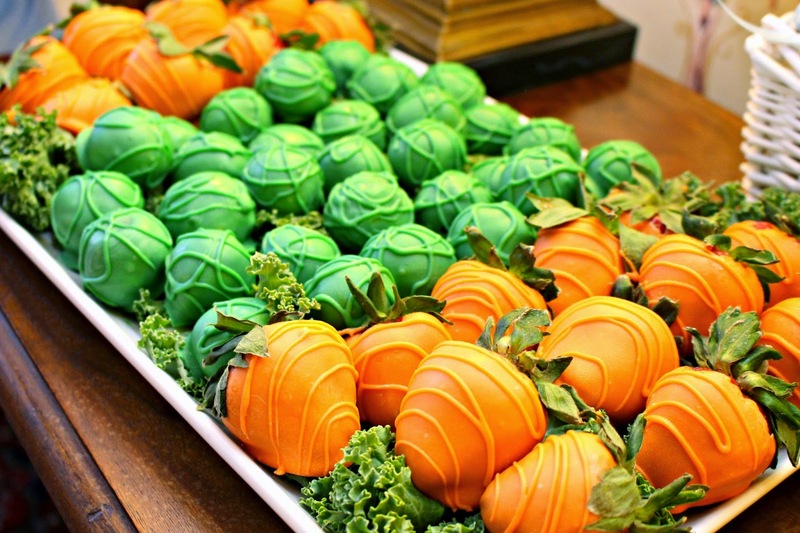 There was also fruit skewers served with a creamy fruit dip. 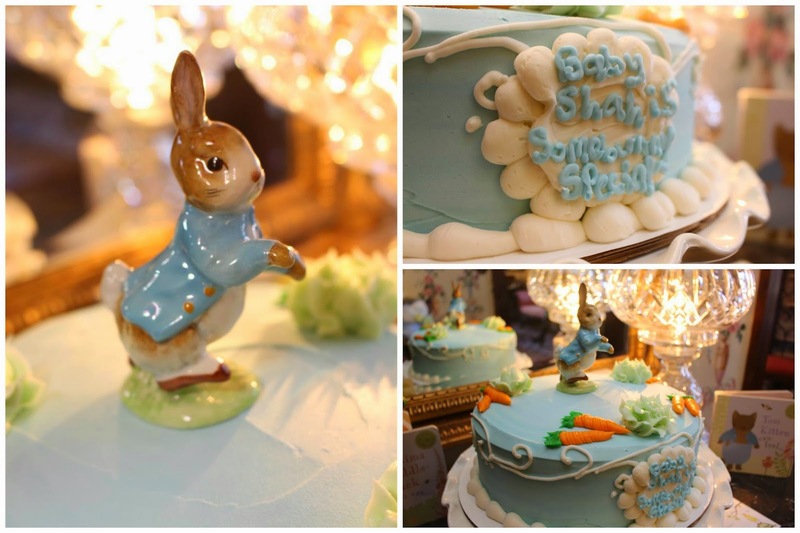 Guests were given a cute Peter Rabbit sugar cookie baby shower party favor. It was beautiful shower and the ladies did a fantastic job! 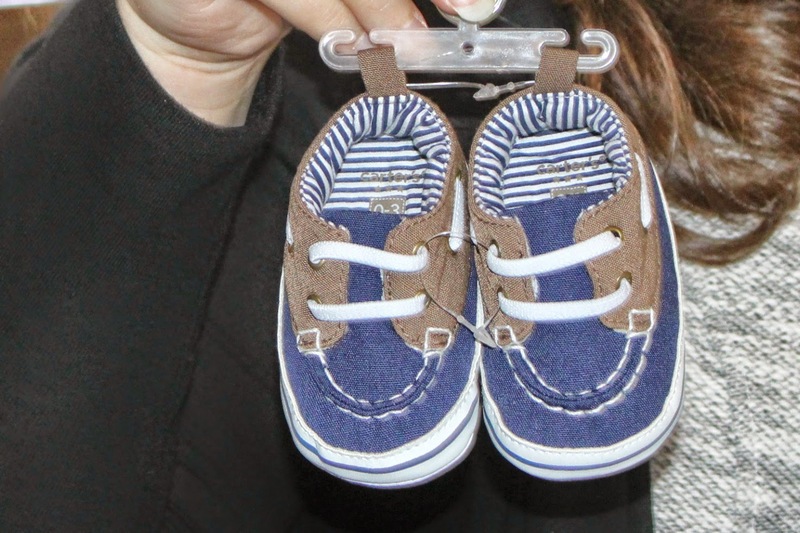 I can't wait to meet Baby Shah! So happy for Alice and Sam!